and our receptionist will help you. Osteopathy is a gentle and effective hands-on approach to healthcare. Osteopaths train for four years and are qualified to diagnose and treat a wide variety of muscle and joint problems. Osteopaths use a variety of techniques including stretching, massage and manipulation, to increase the mobility of joints, to relieve muscle tension, to enhance the blood and nerve supply to tissues, and to help your body’s own natural healing mechanisms. We also provide advice on posture and exercise to aid recovery, promote health and prevent symptoms recurring. What should I expect during a treatment? Before your appointment we will ask you to read and sign a consent form. We will also take some basic contact details from you. You will then be introduced to your practitioner and they will begin to take a full account of your medical history. During this case history we take time to listen to you and ask questions to make sure we understand your current problem and your day-to-day routine. We’ll ask you about things like diet, exercise and what is happening in your life, as these may give clues to help our diagnosis. Once we are happy that we understand your history we will perform an examination. During this we may perform muscle testing and check your reflexes. We may also take your blood pressure and we will refer you back to your GP for clinical tests, such as x-rays, if we think you need them. We will look at your posture and how you move your body. We may also assess what happens when we move it for you and see what hurts, where and when. Using touch, we may also find the areas which are sensitive or tense and this helps us to identify what’s going on. When we have done this, we will discuss our thoughts and diagnosis with you and decide how to proceed with treatment. 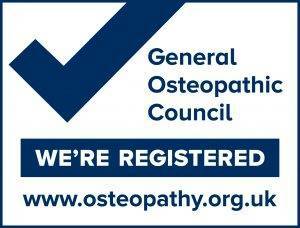 If osteopathic treatment is suitable in your case we will try to give you an idea of how many sessions you might need. 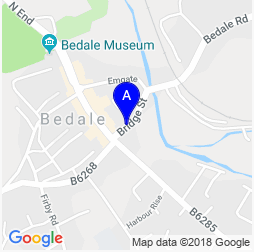 We may sometimes feel that osteopathy is not appropriate for you and refer you to your GP or recommend another specialist such as a podiatrist or nutritionist or pilates instructor. We will often give you advice on your posture and recommend appropriate exercises that will aid in your recovery. We always try to follow up our patients to check that they have done well. It is quite common to feel a little stiff and sore after treatment, rather like after exercising for the first time. Advice will be given on what you should do if you are sore. If you feel uncomfortable post treatment and are worried call us, we will talk through your case and advise you. First ever massage yesterday, didn’t know what to expect but Helen was brilliant. I am sitting straighter and feeling relaxed for the first time in a long time. Fully recommend her and will be returning to deal with my pesky left gastrocnemius! I had constant pain and frequent sciatica which was limiting my day to day life. After just a few sessions my pain eased and I now just have six weekly maintenance sessions and have no pain or sciatica at all!